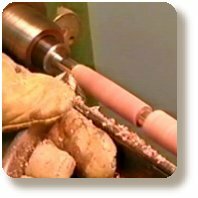 Woodturning Suppliers, bespoke furnituremakers, furniture restoration, stockists of quality timbers for woodturners, and carvers and woodturning courses. Not forgetting our craft items made in our very own workshop. We are a family owned business situated on a craft centre in the beautiful countryside of Warwickshire and located next to 'Earlswood Lakes', we are only 6 miles from Solihull in the heart of the Midlands. We cater for all the needs of the Woodturner and Cabinet Maker and we also offer Woodturning and Routering Courses. We are bespoke furniture makers who also do restoration on both new and antique furniture, we also stock some good quality manufactured pieces of furniture, and various accessories from woodturning to clocks.